Theresa Brooke, a wheelchair bound Arizona woman, has in the past several months filed more than 100 lawsuits against Arizona hotel owners for failing to provide wheelchair pool lifts. Her M.O. is simple. Ms. Brooke (or her attorney/representative) calls a hotel and inquires whether it has a wheelchair pool lift. If the hotel replies that it doesn’t, Ms. Brooke will file a lawsuit. Some hotels have filed motions to dismiss, arguing that Ms. Brooke has no standing to file a lawsuit because she didn’t actually stay at the hotel. The U.S. District Court of Arizona has rejected this argument—allowing Ms. Brooke to proceed with her lawsuits despite never staying at or even visiting the hotel. The Americans with Disabilities Act requires that hotels with pools built after March 15, 2012, provide wheelchair access to those pools. Hotels with pools built before March 15, 2012, must make those pools wheelchair accessible when it is “readily achievable” to do so. Readily achievable means that providing access is easily accomplishable without much difficulty or expense. 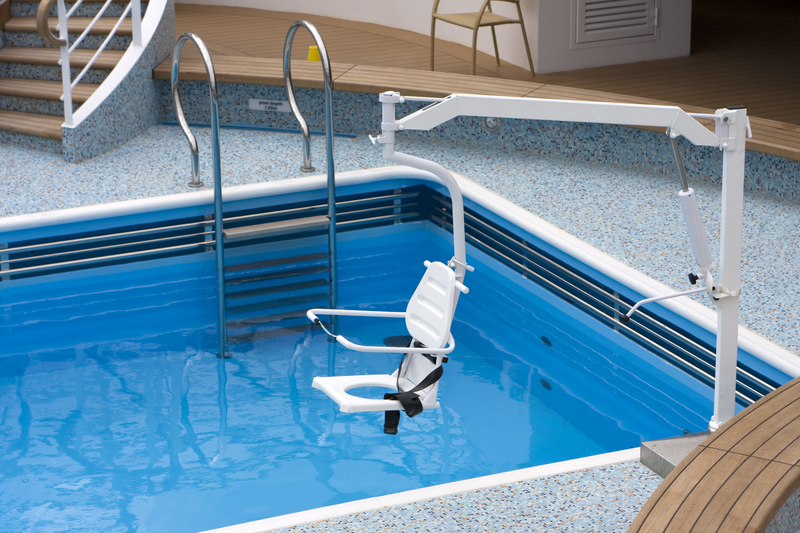 According to the ADA, “this is a flexible, case-by-case analysis, with the goal of ensuring that ADA requirements are not unduly burdensome, including to small businesses.” It is ironic, however, how much more expensive it would be for a hotel to prove in court that it cannot afford to install a pool lift than it would be to actually purchase and install that pool lift. What damages has Ms. Brooke suffered? None—the ADA does not give Ms. Brooke a private right to damages. Ms. Brooke’s attorney, however, is entitled to his reasonable attorney’s fees. Although Ms. Brooke’s lawsuits appear to focus exclusively on pool lifts, there are several other ADA requirements applicable to hotels that could potentially be exposed by a serial plaintiff like Ms. Brooke. Hotel owners should counsel with an attorney who understands hotel specific ADA compliance issues to avoid being caught in the cross hairs of another litigious, disabled plaintiff. Lindsay G. Leavitt is a business litigation and employment law attorney at Jennings, Strouss & Salmon, P.L.C. He regularly represents businesses in employment-related disputes and provides advice on preventative measures.